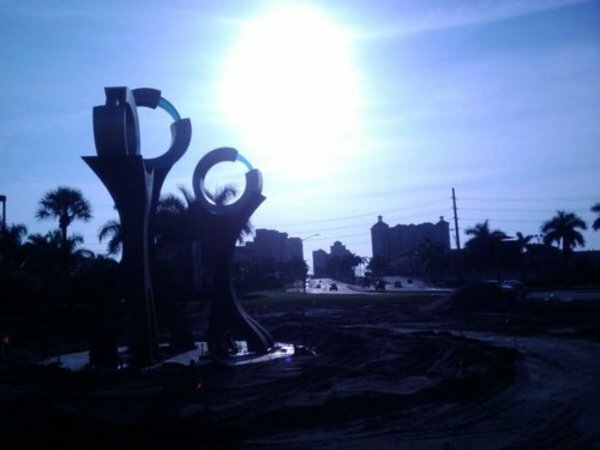 The main entrance to the City of West Palm Beach is on Okeechobee Blvd. People coming by car to downtown West Palm Beach should get off of I-95 or Florida's Turnpike at the Okeechobee Blvd. exit and proceed east. Downtown West Palm Beach is right there immediately when you get off I-95 (from the Turnpike, it's about 3 or 4 miles through a commercial area with a lot of stores, restaurants, and car dealerships). 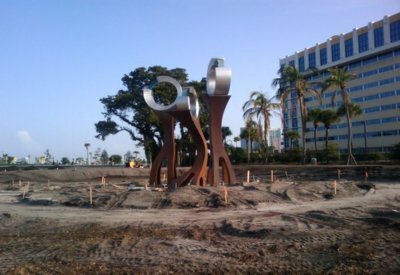 This entrance to the City of West Palm Beach is really quite unique, and improving every day. One of the first things you'll see after exiting I-95, on the left side, is a new artwork that was just put up (August 2009) before the Marriott Hotel, also on the left side. See the first two pictures below to see what this statue looks like, along with the entrance to the city. 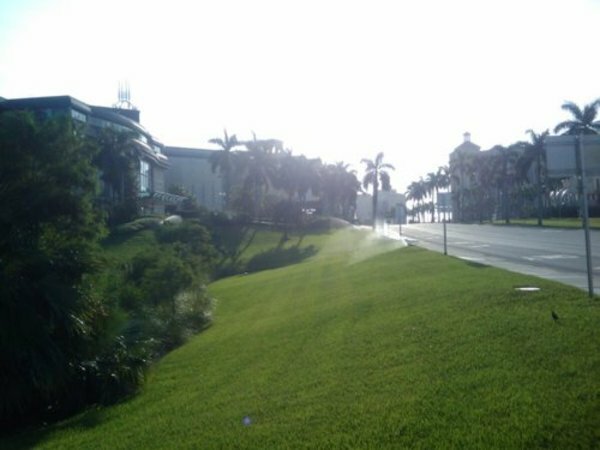 After that, directly on the left, is the Kravis Center for the Performing Arts, with its spectacular grounds (see two pictures below). 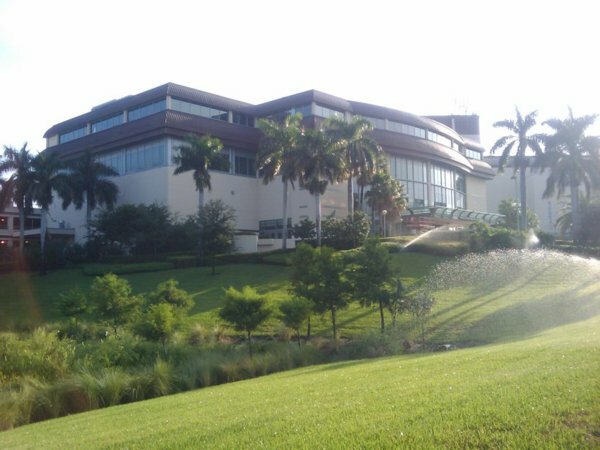 On the right side of Okeechobee Blvd, across from the Kravis Center, is the Palm Beach County Convention Center. Just after the Kravis Center for the Performing Arts, on the left, is the main attraction of downtown West Palm Beach, the City Place dining and entertainment district.